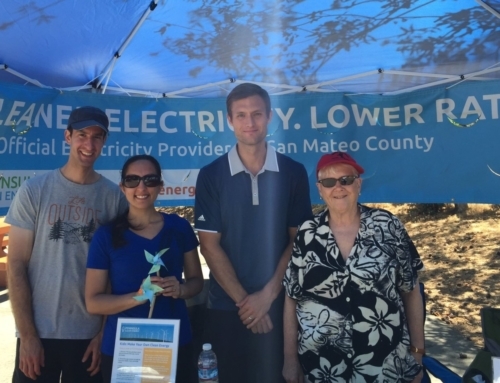 County employees and members of the public are invited to Peninsula Clean Energy’s electric vehicle test drive event Wednesday, October 3rd from 10am – 3pm at the San Mateo County Center at the corner of Middlefield Road and County Center in Redwood City. Come drive electric vehicles from BMW, Chevrolet, Toyota, Honda, and Nissan. 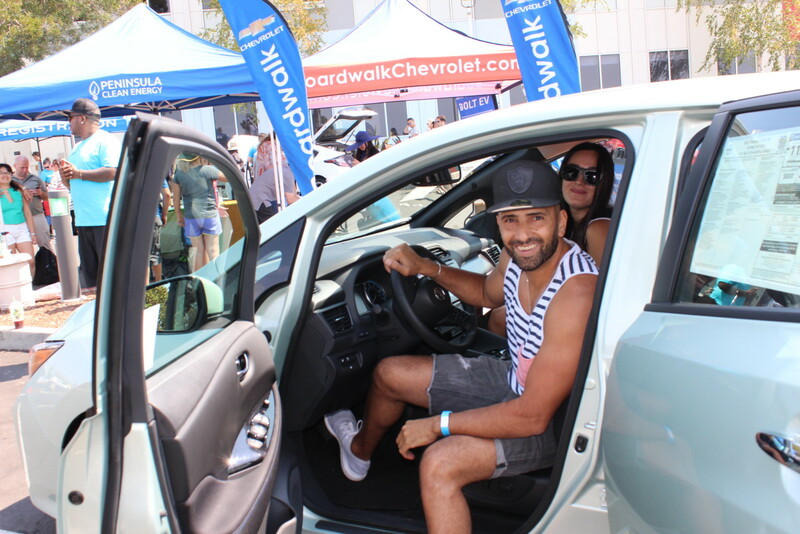 Now is a great time to check out an electric vehicle! 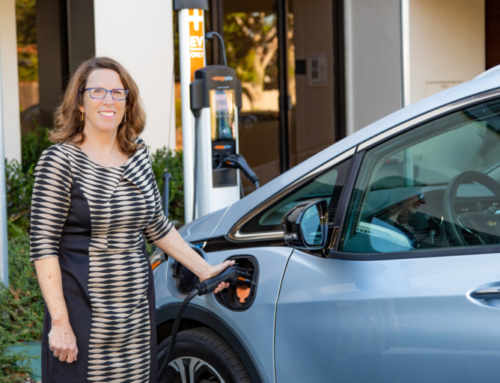 Peninsula Clean Energy is rolling out attractive discounts on select electric cars for San Mateo County residents through participating dealerships in October. Check out peninsulacleanenergy.com/ev for details. San Mateo Deputy County Counsel Brian Wong and his family enjoy vivid Harry Potter podcasts while driving their quiet new 2018 Nissan Leaf. “I’m getting more into the minutiae of the Potterverse,” Brian admits. 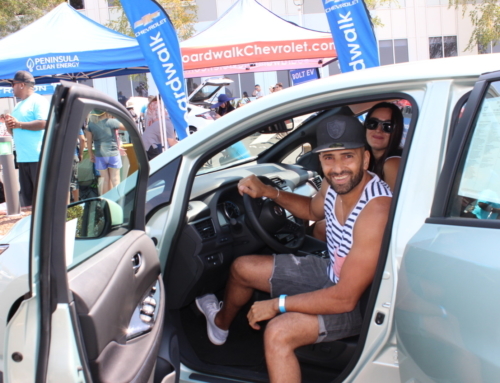 Brian and his wife purchased their electric car this May. The Wongs sprung for the Leaf for its functionality and price. 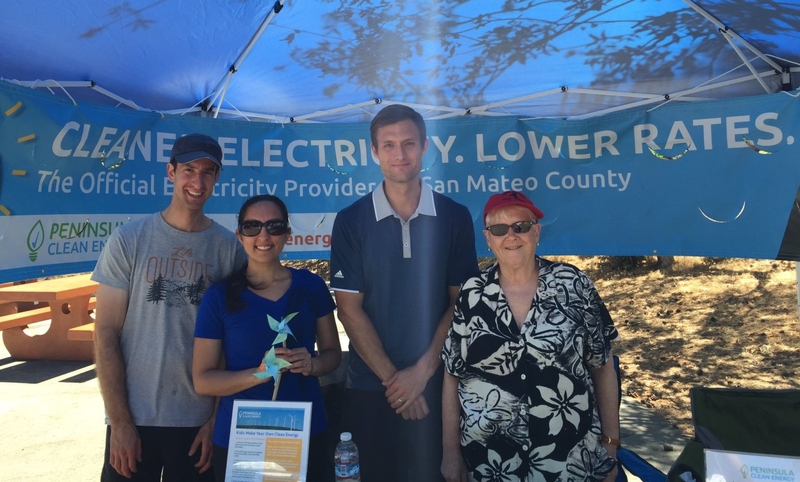 They were impressed by purchase incentives such as PG&E’s home installation contribution of $500, a $2500 rebate from the state of California, and a $7500 federal tax credit. The Peninsula Clean Energy discounts will add to these incentives to make electric cars an even better deal. Brian’s family lives in Millbrae, and his and his wife’s commutes to Redwood City and San Francisco respectively are well within the vehicle’s 150 mile range. “We don’t need a car that can go the same distance as a gas-powered vehicle, because we have a van as well,” said Brian. However, Brian did take his family on a road trip in the Leaf to the Sonoma County Fair in Santa Rosa this summer. 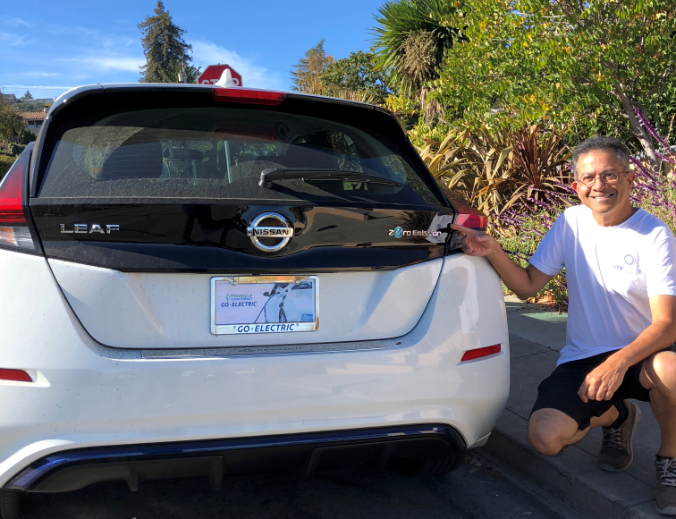 They traveled 70 miles to Santa Rosa then charged their car at a Nissan fast charger, which only takes 30 minutes for a full charge, before heading home. 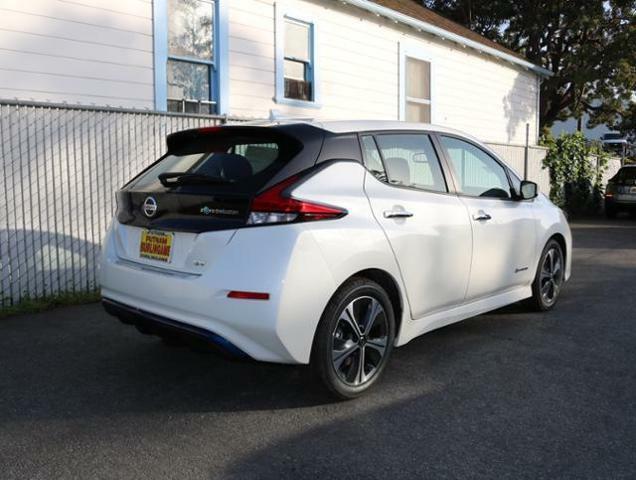 Outside of the occasional road trip, Brian uses the electric car mostly for commute purposes during the week. Charging the car at home helps him to take full advantage of the solar power he is generating from the panels installed on his home. The County of San Mateo also provides chargers at its County Center garage with 100% renewable energy from Peninsula Clean Energy’s ECO100. 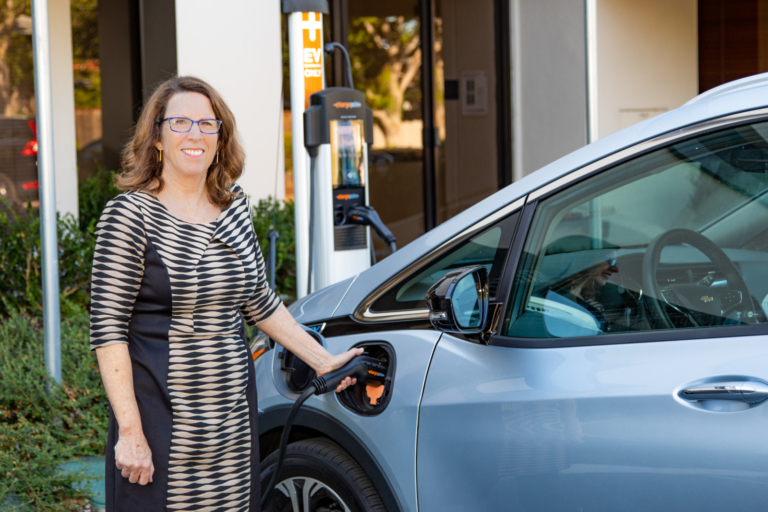 Charging your electric car during the day when the California grid has plenty of solar power is a great option for employees who don’t have chargers at home. And when you see Brian around County Center, go ahead and quiz him on the Potterverse. He and his family are up to speed.